It’s hard to avoid this topic today, with a steady stream of articles and opinion pieces focusing on the associations between oral health and systemic health. 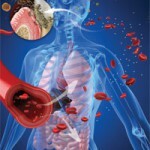 Despite links between periodontitis, diabetes and cardiovascular diseases, the dental profession has difficulty convincing other health professionals and the public of the importance of these connections. It is a start to associate the mouth to the rest of the body. 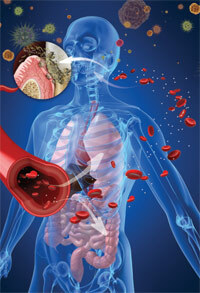 A new organization was recently formed called the American Society for Oral Systemic Health. But are we perpetuating the separation of the mouth and the rest of the body by suggesting that oral health and systemic health are still two different things? Oral health is in fact systemic health. Two professors at the University of Manitoba in Winnipeg, Canada, suggest the terminology should be changed, to ensure that oral health is recognized as part of systemic health and not a separate entity. They suggest using the terms “oral health” and “overall health” or even “oral” and “non-oral” health rather than “oral-systemic,” which unintentionally separates the mouth from the rest of the body. As an example, they suggest a physician wouldn’t discuss diabetes, an endocrine disease of the pancreas, by referring to the patient’s pancreatic and systemic health. Since the mouth is part of the body, oral diseases with an impact on other parts of the body are in fact systemic diseases and not oral conditions with systemic influence. Stay tuned over the next few weeks for the rest of this fascinating series of dental health articles. This article written by Trish O’Hehir, RDH and was posted in Dentaltown Magazine in January 2012.